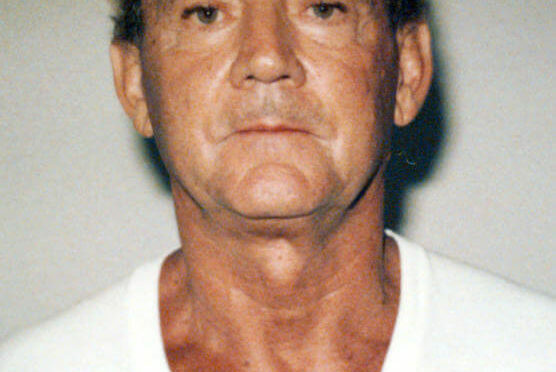 Former New England mafia godfather Frank “Cadillac” Salemme was ordered held without bail today on charges he murdered a federal witness after prosecutors say he went on the run from a witness protection program. Salemme, appearing in federal court today wearing baggy brown pants, sneakers and a blue t-shirt, did not challenge a detention order and waived his right to a probable cause hearing before being led away in handcuffs. Salemme is charged with the murder of a witness on May 10, 1993, according to a criminal complaint. Wyshak confirmed outside the courtroom that the murdered witness, who was not named in court, was nightclub owner Stephen DiSarro. According to an indictment of another aging former mobster made public earlier this summer, Salemme and his son, Frank Salemme Jr., murdered DiSarro on that date. DiSarro’s remains were found behind a mill in Providence in late March. 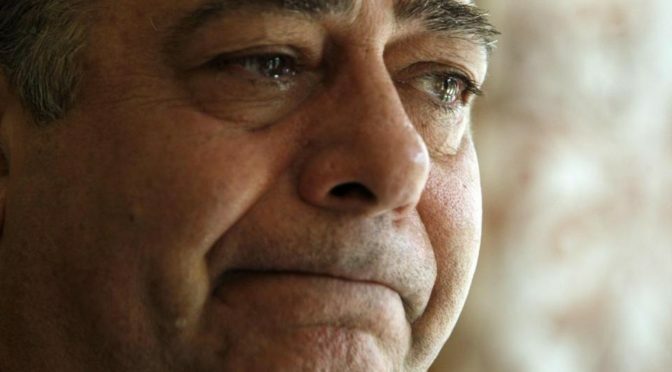 The initial Salemme revelation came in the indictment in June of ex-La Costa Nostra gang member Robert P. DeLuca, 70, on charges of lying to federal investigators about DiSarro’s disappearance and murder. The Salemmes had a “hidden interest” in DiSarro’s Channel club, and that relationship came up during criminal investigations in the early 1990s, according to the DeLuca indictment. The indictment on the murder charges against Salemme has been sealed from the public. 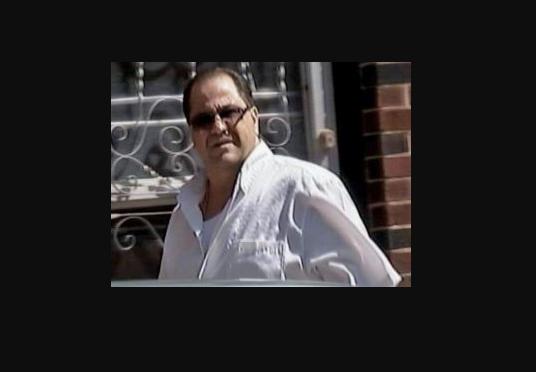 Salemme, who was the boss of the New England La Cosa Nostra in the 1990s until he was indicted on racketeering charges in 1995 and convicted in 1999, was arrested this morning in Connecticut. Salemme was “fleeing from potential prosecution” and had left his home in Atlanta, Ga., Wyshak said. Salemme’s lawyer, Steven Boozang, denied that his client was on the run. “He was on his way back to answer any charges,” Boozang told reporters after the hearing. He said Salemme denies the charges and is determined to bring the case to trial.